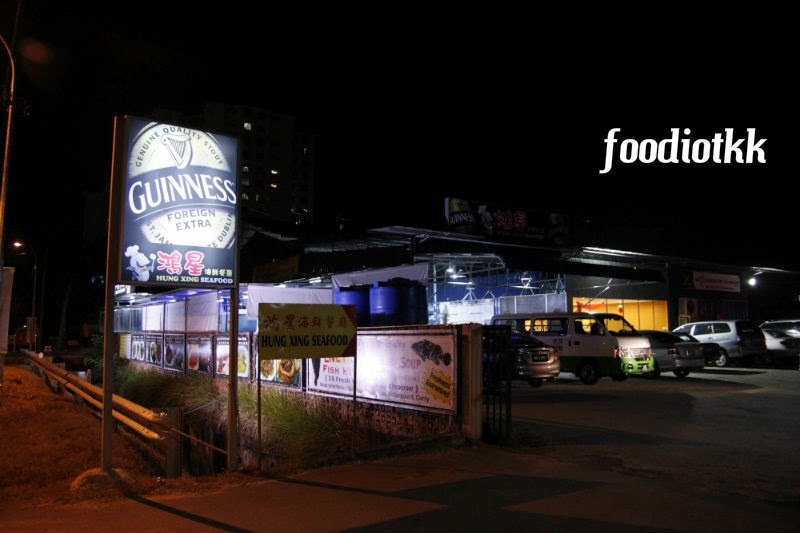 The newly opened Hung Xing Seafood (鸿星海鲜餐厅）is the latest addition to the collections of seafood restaurants at Kota Kinabalu. 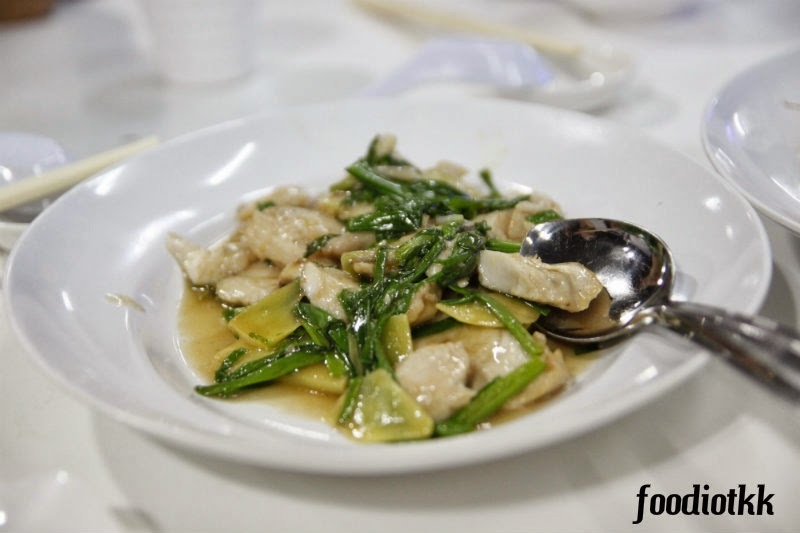 Like other seafood restaurants, Hung Xing is a serve-no-pork restaurant and serves chinese-style cooking. 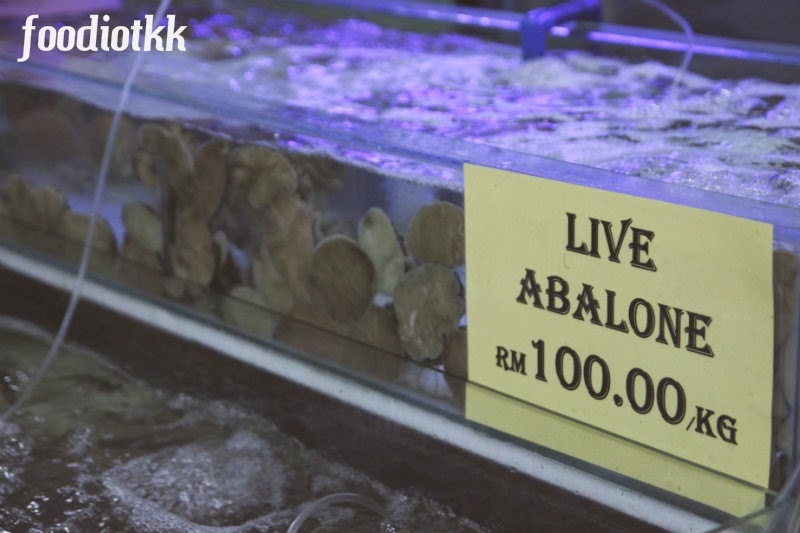 Live fishes... but wait! 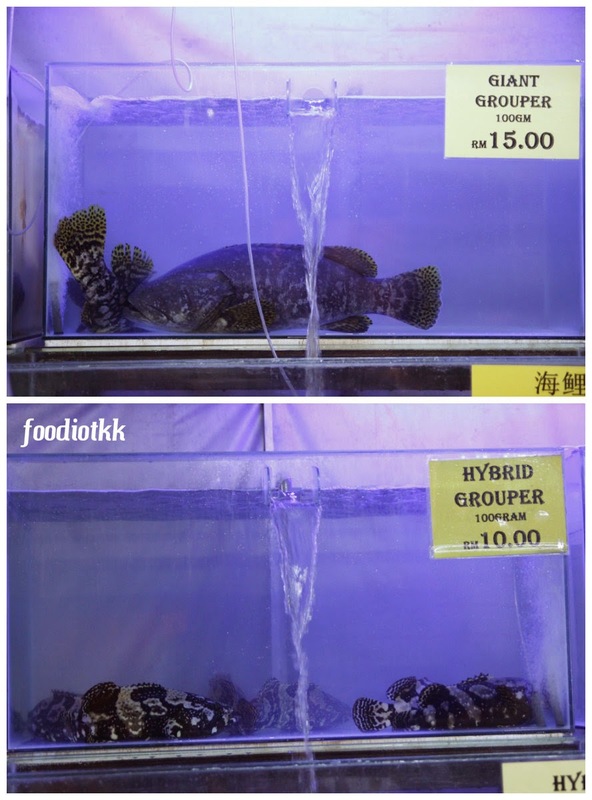 Hybrid Grouper?!! 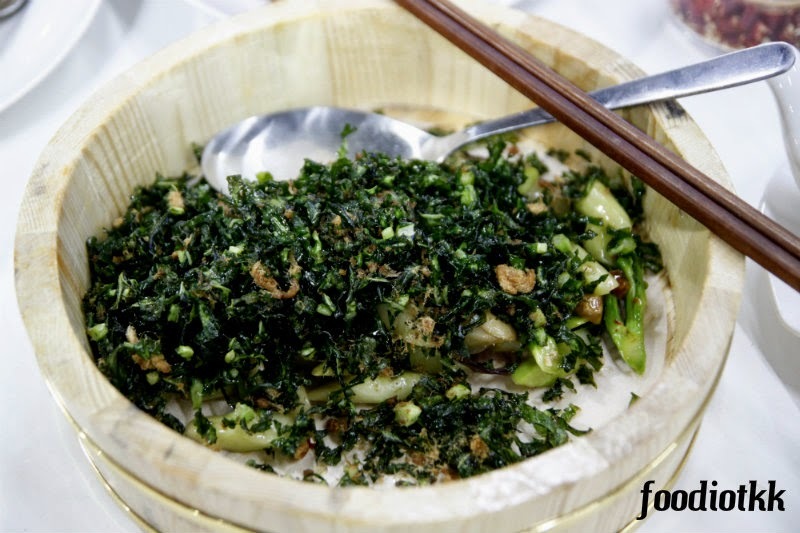 This dish was very unique: The leaves were chopped and deep fried, then sauteed with the remaining vege shoots, dried chillies and dried shrimp. 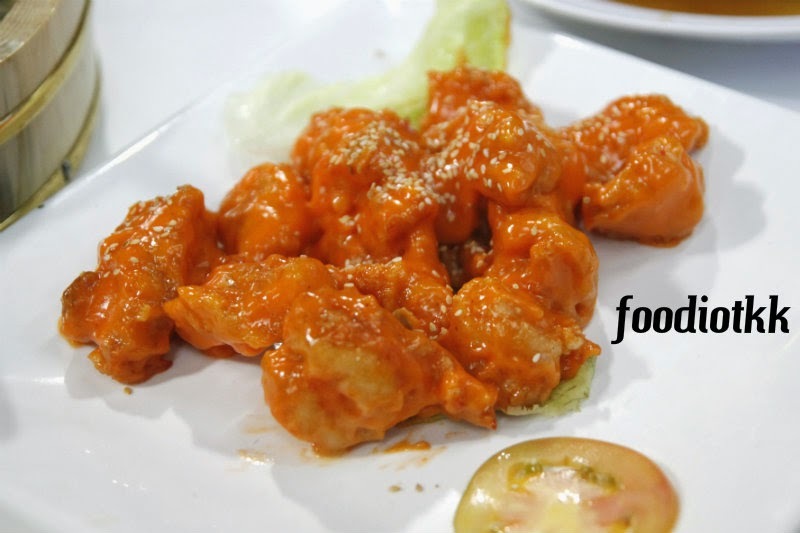 Appetizing even at a look, this prawn was coated with sweet and sour mango sauce, then sprung with some sesame! 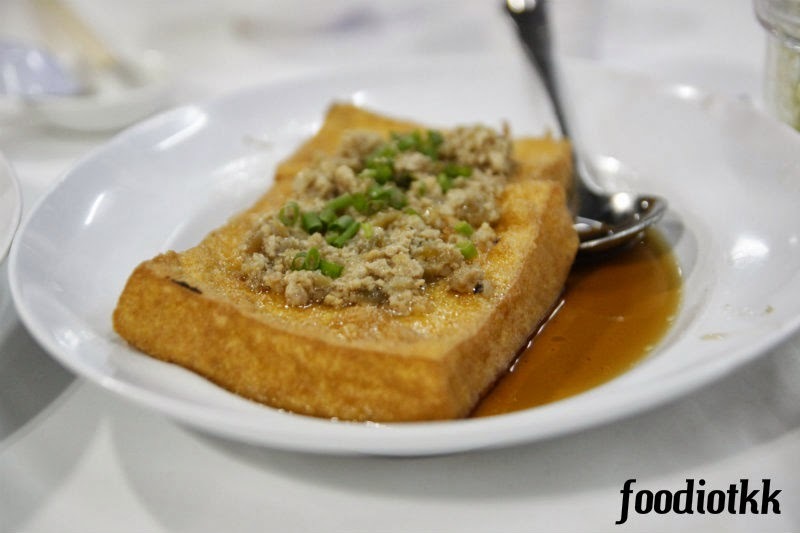 Breakfast is also available here at Hung Xing Seafood Restaurant, you can find fish noodle here.